Probiotics provide benefits in reducing allergy response, improving brain function, and improving the health of pregnant women. In this first placebo-controlled study of probiotics and allergy, doctors gave 173 people with seasonal allergies a placebo or a probiotic containing l-gasseri, bifidobacterium bifidum,and b-longum at three-billion colony forming units per day total, during peak pollen season. After eight weeks, while there were no changes for placebo, the probiotics group reported fewer symptoms of runny nose and watery eyes, and an improvement in quality of life. In one of the first studies to link gut health to mental function, probiotics improved cognition scores in those with Alzheimer’s disease (AD). 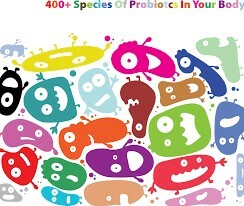 In this study, 52 people with AD took a placebo or adaily probiotic including L. acidophilus,L. casei, bifidobacterium bifidum, and L. fermentum at a concentration of two billioncolony forming units each. declined. Those in the probiotics group alsosaw lower triglycerides, very-low-density lipoprotein (vLDL) cholesterol, and high-sensitivity C-reactive protein; an inflammatory factor. Probiotics also reduced insulin resistance and insulinproducing cell activity improved. While the results were modest and participants remained severely cognitively impaired, doctors said thestudy is important because it provides evidence that the gut microbiome plays a role in neurological function and that probiotics can improve humancognition. study, 106 women hospitalized with amniotic sac rupture at 24 to 34 weeks gestation took standard antibiotics alone or with a probiotic vaginal suppositoryfor 10 days. Women taking the probiotic suppositories gave birth at an average of 35.49 weeks compared to 32.53 weeks for antibiotics alone, with an average increased time in the womb of 5.06 weeks vs. 2.48 weeks. Babies weighed 5.38 pounds for probiotics vs. 4.42 pounds for antibiotics alone. Babies born to moms in the probiotic group were also less likely tobe admitted to neonatal intensive care for oxygen or mechanical ventilation,and had shorter hospital stays. Doctors said probiotics may help prevent vaginal bacterial infection and improve pregnancy outcomes. into gingivitis. Untreated, gingivitis can cause periodontitis, an infection that raises chances for preterm birth. In this study, 45 healthy women with pregnancy gingivitis at the start of the third trimester took a placebo or the probiotic L. reuteri in a lozenge thatdelivered five-hundred-million colonyforming units, twice per day until birth. After the women delivered their babies, gingival symptoms and plaquebuild-up in the probiotic group were significantly lower compared to placebo. Doctors concluded L. reuteri reduces harmful oral microbes without harming teeth, and may be a valuable new tool to help control pregnancy gingivitis.